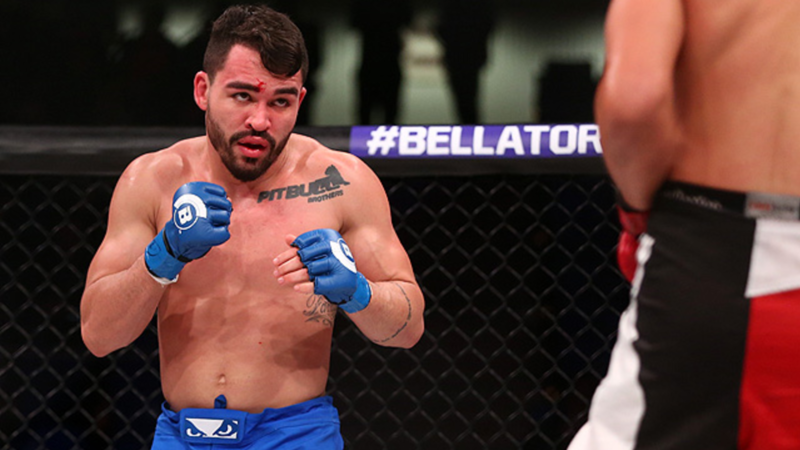 Patricky Pitbull’s lightweight title aspirations nearly went up in smoke after a very close decision win at Bellator Newcastle. Pitbull managed to score a split decision win against BAMMA lightweight champion Ryan Scope in the main event to continue his win streak. Things started off well for Pitbull, landing a big knee to Scope, which dropped the British fighter, but Scope did manage to rebound. Scope spent most of the fight throwing leg kicks at Pitbull to varying degrees of success. Scope would start taking Pitbull’s shots better as the fight got deeper, but Pitbull did manage to score a takedown in the second round and attempted to throw more knee strikes. Scope continued to throw leg kicks and even tripped up Pitbull when he went for another knee strike in the third round. Scope managed to not only take down Pitbull late in the fight but got wrist control and even landed some hammer fists on Pitbull as the bout ended. In the co-main event, lightweight prospect and former British reality television star Aaron Chalmers had a solid start to his fight against Corey Browning. The two opened things up by swinging for the fences and at the end of the round, Chalmers dropped Browning but walked away thinking the fight was over before realizing a second later that Browning was getting right back up. Browning would get revenge at the start of the third round by locking in a heel hook, forcing Chalmers to submit. Although Chalmers had entered the fight having won all four of his pro fights in quick order, it was the first time Chalmers fought in the second and third round of a fight. But Browning wasn’t the only one to get a submission win on the main card as Chris Bungard got his win with a rear naked choke just two minutes into his fight against Terry Brazier. Bungard extends his win streak to four fights and also secured his fourth career win via rear naked choke. Fabian Edwards returned to Bellator for the first time since 2017 and left the cage with his perfect record still intact after a dominant performance against Lee Chadwick. Edwards had to go the distance for the first time in his pro career, but still won a wide unanimous decision against Chadwick.